Cold War nuclear targets list by USA - Soviet-Empire.com U.S.S.R.
Moscow was assigned with 175 nuclear attacks, Leningrad with 145 in case of a nuclear exchange. Warshaw Pact would be obliterated. I don't understand why they even targeted Albania as they never ever had anything significant there. For example, even though Albania had pulled out of all alliances with the USSR, it was to be attacked because there were Soviet air defenses on its borders. As SAC commander General Thomas Power reportedly told Secretary of Defense Robert McNamara, "Mr. Secretary, I hope you don't have any friends or relations in Albania, because we're just going to have to wipe it out" (Fred Kaplan, The Wizards of Armageddon [New York: Simon and Schuster, 1983, 272). What's the point of having this superb military that you're always talking about if we can't use it? In the fall of 1945, the U.S. developed JIC-329. The plan called for dropping atomic bombs on 20 Soviet cities: Moscow, Gorki, Kuibyshev, Sverdlovsk, Novosibirsk , Omsk, Saratov, Kazan, Leningrad , Baku, Tashkent, Chelyabinsk, Nizhni Tagil, Magnitogorsk, Molotov, Tbilisi, Stalinsk, Grozny, Irkutsk, and Jaroslavl. The insanity of the ruling elite is staggering. Here they are taking it upon themselves to decide the fate of the human race, They are ready to incinerate tens of millions of people outright and turn the planet into a living hell, because they have decided that it is "Better to be Dead than Red". Have they bothered to consult with the people they are prepared to exterminate? Of course not. Yet their "Liberal" allies promote this death-trap system as the epitome of "Democracy"! And they are taken seriously for decades! They pose as savants, but an ape has far more sense and decency. As Albert Einstein once said to me: 'Two things are infinite: the universe and human stupidity.' But what is much more widespread than the actual stupidity is the playing stupid, turning off your ear, not listening, not seeing. 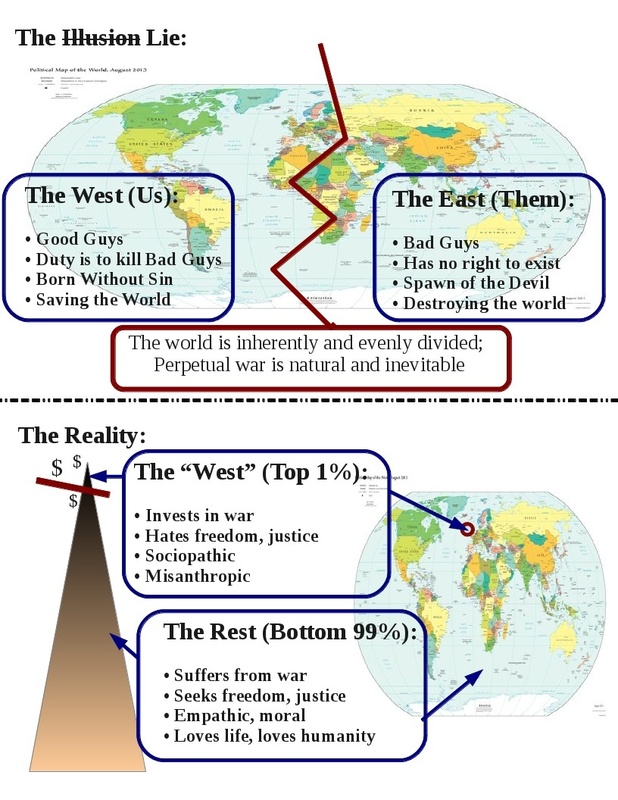 So you think the Soviets didn't have the same plans for the West as well as neutral countries? This one is just for a limited war that wouldn't include nuclear bombing of France, the UK or the US. Had Stalin had the opportunity to build A-bombs before the US he certainly wouldn't have waited. Vienna was to be hit by two 500-kiloton bombs, while Vicenza, Verona, Padova and several bases in Italy were to be hit by single 500-kiloton bombs. Hungary was to capture Vienna and part of northern Italy after this had happened. Stuttgart, Munich and Nuremberg in Germany were to be destroyed by nuclear weapons and then captured by the Czechoslovaks and Hungarians. In Denmark targets would include Roskilde and Esbjerg. Roskilde, while having no military significance, would be targeted for its cultural and historical significance to break the morale of the Danish population and army, while Esbjerg would be targeted for its large harbour capable of facilitating delivery of large NATO reinforcements. There's a huge difference. The stance of the Soviet Union was defensive; the stance of the West, offensive. The Soviet Union sought to avert war and deter war; the U.S. sought to achieve a "first-strike capability", that is, the ability to use nukes with impunity. JIC-329 was developed in the fall of 1945: It was not a symmetrical response! Admit it: This was pure aggression! This was a plan to launch an atomic strike against a devasted ally that did not have atomic bombs and did not threaten the U.S.. And JIC-329 was only the first of a long series of atomic-bomb attack plans developed by the U.S.. The Stalinists who ran the S.U. were content with "socialism in one country". The support they gave to popular revolutions around the world was half-hearted and was mainly political. The bankers who run the West were and still are obsessed with destroying Russia. They have squandered many trillions of dollars on this obsession, they ignore the will of the people, and they rely heavily on military force. As part of the West's perpetual war against Russia -- the so-called "Great Game" -- Neville Chamberlain, head of the British Conservatives, built Hitler up and gave Hitler the industrial might Germany needed to attack the Soviet Union. This "Appeasement" strategy led to World Suicide II, the destruction of an entire continent, and the loss of tens of millions of lives, twenty million in the Soviet Union alone. That is one reason why Russians abhor war and do everything they can to resist it. That was true in Soviet times and it's still true today. Meanwhile, here in the U.S., many are programmed to regard war as a fun video game, nothing more. The documents recently released by the U.N. show that the West and the Third Reich are on the same moral level. The West was the Godfather and Hitler was the Hitman. The rulers of the West were too cowardly to do their own dirty work, so they got Hitler to do it in their behalf. When everyone is dead, the Great Game is finished. Not before. The West destroyed Ukraine so that it could use Ukraine's territory for stationing first-strike missiles closer to Moscow. The NATO-bloc, addicted to war, is investing a trillion dollars a year in death and destruction -- more than the military spending of all other countries on the planet combined, and more than ten times what Russia spends. This staggering investment in insanity will surely come back to bite us hard. We are like children playing with matches in an oil depot. Say goodbye to the human race. Had Stalin had the opportunity to build A-bombs before the US he certainly wouldn't have waited. Are you aware that some years ago you were a rabid Stalinist and mocked me for anything I said which could remotely make Stalin look bad? And now you're bashing Stalin on your own? Have you grown up then? Can you elaborate your 180 degree reversal, please?